DELETE THE OLD VERSION OF 5IMPLE BEFORE INSTALL THIS ONE! 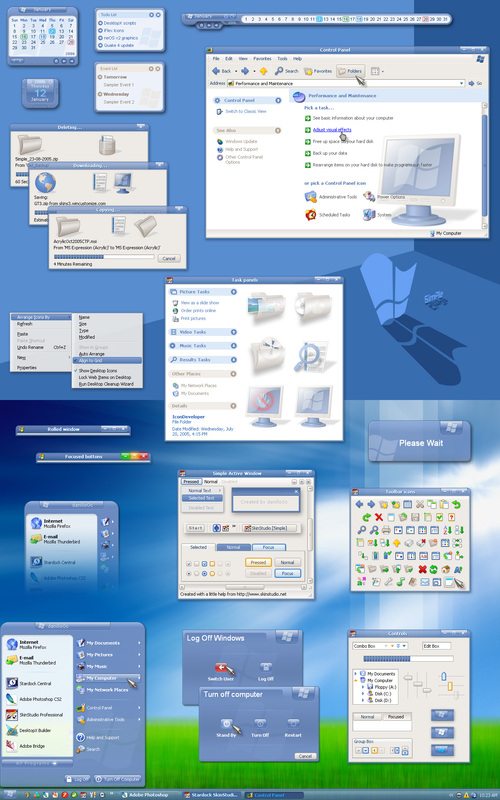 You will need WindowBlinds 5 or newer to run the default styles. WindowBlinds 4.x users have to select the (WB 4.x) sub-styles. 3 - Changed the font size for the buttons, made it a bit bigger for a better visualization. 8 - Fixed icon, titlebar text and buttons position in the maximized caption. the skin faster and more. I tried a design to make the skin easy to use everyday, all parts are skinned. Great WB skin - definitely a keeper...can you tell me what icon pack you are using and will it be available for download? thanks so much for sharing this! The best skin in the contest (IMO) and the best skin submitted here for quite some time. The other comments says it all, so it's not easy to come up with something original at #43, so, Thanks! Excellent skin, it's my new daily use one Very clean and fast, with perfect coloring for eye comfort. Superb work! This is my fav skin, THANK YOU! This is wonderful.I love Pixel Pirate's skin, but this is flawless.Absolutely perfect. What cursor is that in the screenshot? Someone 7, Curser is "Pixtudio" One of my favorites. I am currently using "Corporate" It also fits this Skin well. DanilloOc, this is a GREAT skin. Thanks. Will be using it for awhile I�m sure. Very Nice Danillo0c. This is the first skin I've decided to change to in a long time. Thanks. A Skin simple and very versatile fruit of your creativeness. Thanks danilloOc for your incessant search! ur still one of the best skinner ever!